Hi everyone! It's time for a new issue over at Paper Issues. 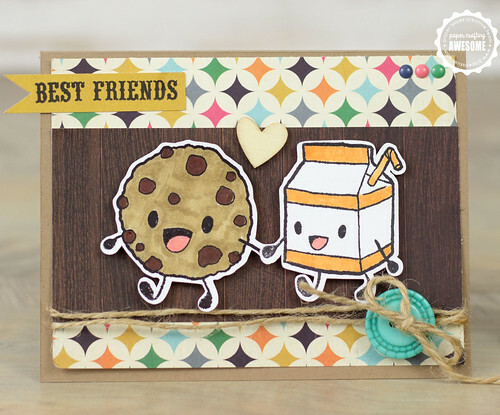 Our theme this time is Food for Thought and some of us design team girls got to play is some adorable new stamps from Some Odd Girl. They are so adorable! Head on over to Paper Issues to link up your food related projects for a chance to win a set of these new stamps from Some Odd Girl. You can see all there fabulous products in there store. This is too CUTE!!! So sweet!